Visionary design duo FlyHelsted is the creative mind behind the two new trend zones Gallery Component and Zusammen, that visitors can experience at the 67th edition of Formland. There'll be plenty of opportunities for inspiration and learning about forthcoming trends when design fair Formland Autumn opens its doors on 17-20 August 2017 in MCH Messecenter Herning. Beside the many innovative exhibitors, Formland also features the Galerie Éclectique trend zone - an exhibition area that fuses art and design, as well as two creative trend and eating areas, Gallery Component and Zusammen. 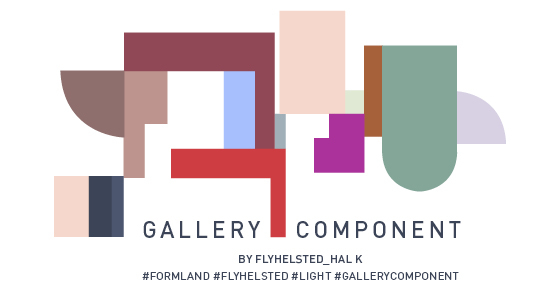 FlyHelsted, comprising interior designer Mille Fly and photographer Sofie Helsted, is the creative partnership behind the Gallery Component trend café. The dynamic design duo, who make their living from creating visual settings, wanted to make Gallery Component (in Hall K) a café that had a gallery atmosphere, where small contemporary exhibitions combine different styles to create new works. "Gallery Component is an installation exhibition where we have used different combinations of products, colours and shapes to create a synergy, which we hope will inspire visitors to try something new and put together products in a way they might not have thought of. We like to challenge people and get them to think out of the box and view the exhibitors' products in new contexts," explains Fly. You can enjoy the many artistic works from the adjoining café, where on-trend street food chefs from NORD Urban Gourmet Food will be serving organic, Nordic tapas. If you're feeling peckish, there's also Formland's Outdoor Area Zusammen. This area too was designed by FlyHelsted. Here, Yutaka Sushi and Hansens Flødeis (organic ice cream) invite you to enjoy a meal or ice cream together at long rustic tables. The aim of this setting is to get people meeting, talking and making new contacts around great food. As well as the trend zones, visitors at Formland Autumn 2017 can also look forward to 33 presentations, shows and workshops, not to mention a wealth of trends and product news from the 470+ exhibitors. For 33 years, Formland has gathered together professionals with a passion for design and interiors. 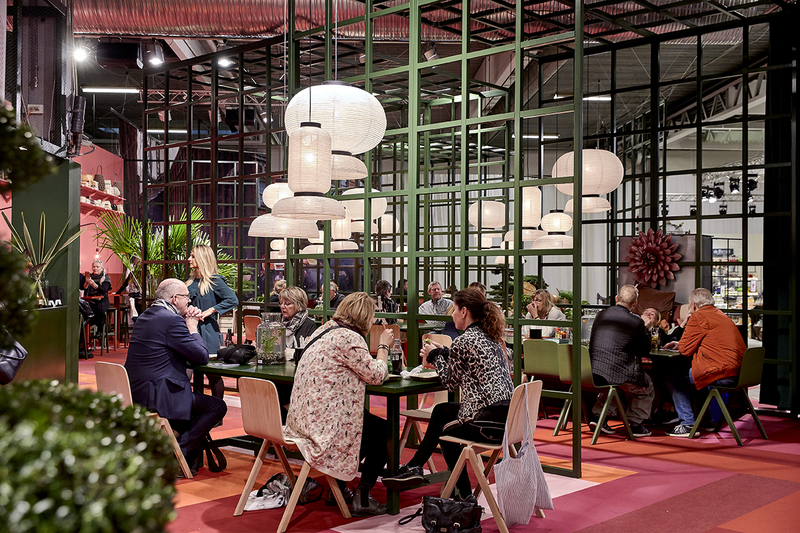 This is where the design industry meets, where networks are formed, deals are made and shops are updated with a wealth of new design and interior products.